That looks wonderful! 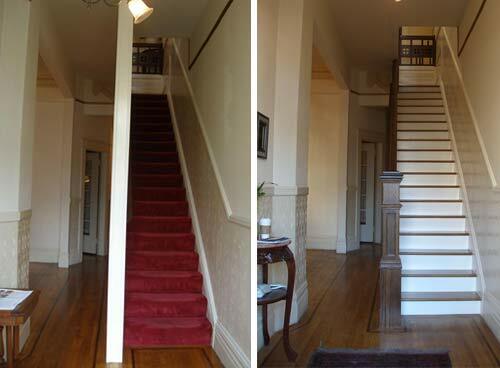 Taking out the wall made such a big difference, and the bannister and newel post are beautiful. Hi John – Found your site via a post on Apartment Therapy. The results are gorgeous! We have a similar project to tackle in our 100 year old home on the West Coast in Canada. Except, not only do we have a wall where there should be a banister, the ceilings have also been artificially lowered. I can’t imagine why people ever changed these old beauties. Your house is lucky to have you. Just beautiful! VERY well done, I must say. What is your next project? I grew up in a 1910 flat on Nob Hill and also lived in a 1908 flat in Noe Valley. Gorgeous work on the staircase! We’d love to feature this project on C&H. We’ve also got some resources you may find helpful for the Bay Area. Great job on the staircase. It truly is amazing now. I bet it opens up the space too! Nice blog BTW… cant wait for more updates. Im subscribing. In looking at your pics of the project, call it overkill, but I would have somehow tied in the underneath bolts of the post to the crossbeam running in between those bolts. You still probably could. Nothing wrong with some extra strength! This is gorgeous! I have a question for you that is not related to the staircase but maybe you can help. Do you have any radiators that are in the floor? I just bought a 1905 highwater bungalow and our heat source is the radiators in the floor. They have been working great except that yesterday my toddler who is potty training stood over the grate and peed on one of them! It wasn’t on but this morning when I turned it on it started to smoke a little and now the whole house smells like burnt pee! I turned it off pretty quick when I saw the smoke but I have no idea what to do at this point. Any suggestions would be greatly appreciated or if you can even recommend who I would contact for help, that would be great too! Looking for a supplier of Victorian exterior porch railings, spindles, posts etc. Can anyone recommend a manufacturer – preferably in CA. We got our parts from SF Victoriana (sfvictoriana.com). I’d give them a call. They are great and right here in SF. Amazing job. Really, it’s stunning! Your home is lucky to have you there, returning it to its original glory. Kudos! 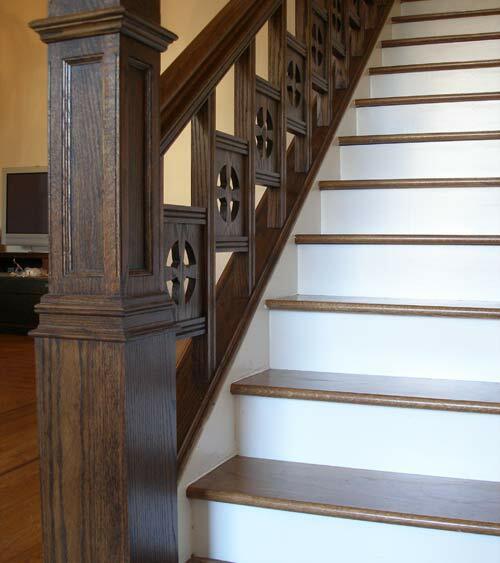 Are you able to restore a 1876 victorian stairway? It needs to have old paint removed, then sanded (/), sealed, varnished. We want its natural colors to be shown. Sorry David but I’m not a contractor. We are DIY restorers with regular 9 to 5 jobs. Good luck with your project!